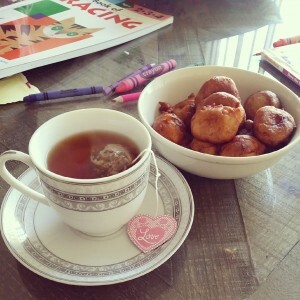 My morning tea today with my lovely girls, while watching them colour in and do some paper activities. They even helped me with making the banana balls, though flour fight everywhere… but thats alright, as long as they are having fun! 2. Mashed the bananas thoroughly and then add the flour, salt, sugar and baking powder.Combine until evenly mix. 4. Deep fry both sides until golden brown and remove and let cool. scones for eid breakfast anyone? Eid is tomorrow In Sha Allah! As we say goodbye to Ramadan (In Sha Allah, this wont be our last Ramadan) we say hello again to Eid. As sad as I am to leave the holy month of Ramadan, I am also equally excited to welcome Eid. I have everything ready, from kids dresses to shoes, to presents and the list goes on! Do you tend to cook/bake on the morning of Eid? What is your typical Eid breakfast? Being a malay, in my culture, we’d wake up with a feast. Usually there’s rendang, lontong and sooooo many kuih raya (Eid cookies) to choose from. But since I’m a busy wife and mother, living abroad + my small little family is not used to eating a huge breakfast, I’d choose scones as the next best thing! 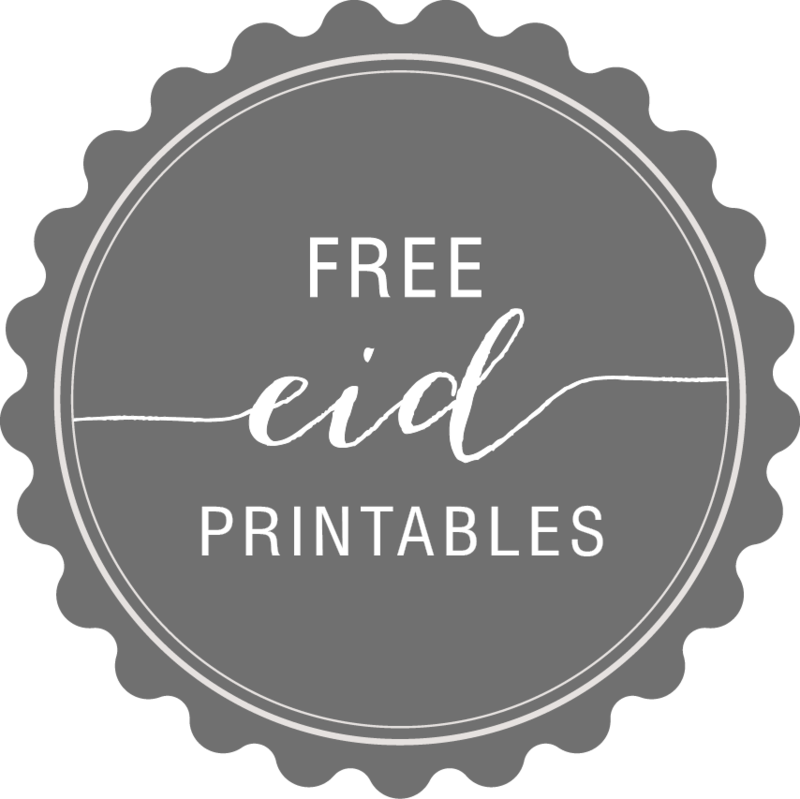 These babies are done and dusted in under 30minutes (from start to finish) so you know you wont be late for your Eid prayers. These scones are extremely soft! Thanks to my Italian brother in law for recommending the recipe to us. 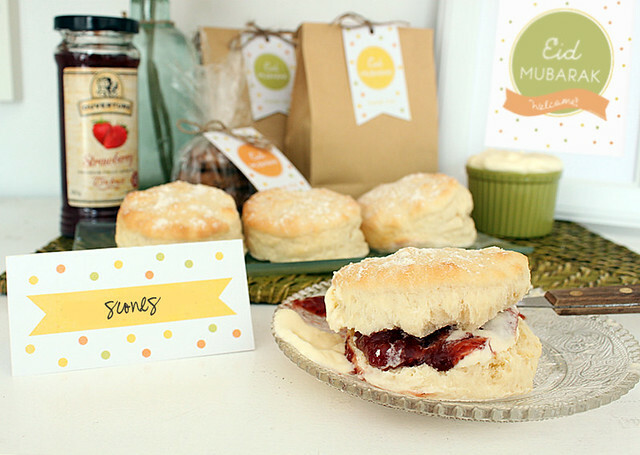 Scones are best served warm straight out of the oven with strawberry jam and cream…mmm yum! 2. Sift all dry ingredients into a bowl 6 times to aerate. 3. Make a well in the centre and add the cream, milk and water. Mix with a knife. The ingredients should come together easily without too much effort. 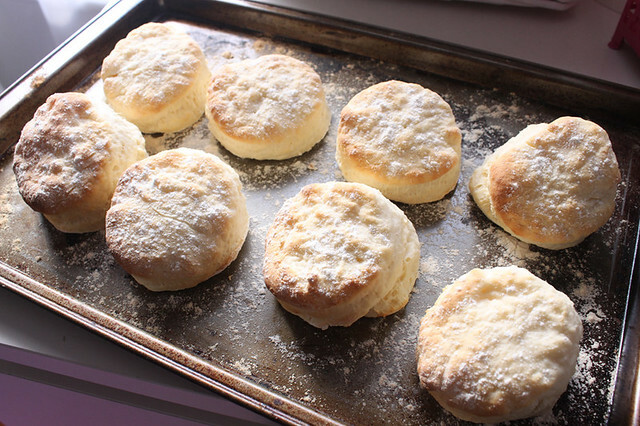 If the mixture is too stiff add more milk, but don’t overwork or the scones will be tough. 4. 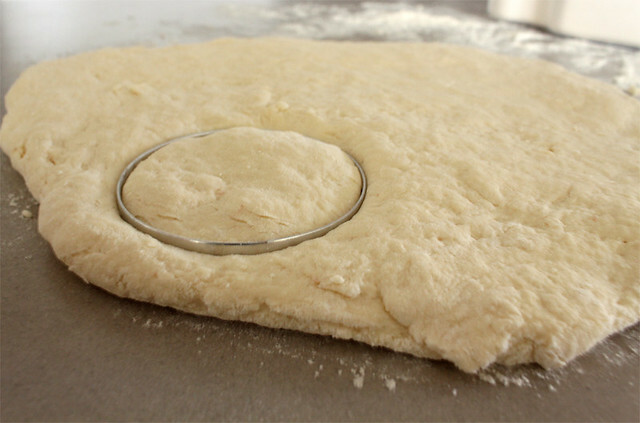 Turn the dough out on a well-floured surface. Flour your hands lightly and shape the dough into a ball before patting down gently to a height of 3cm. 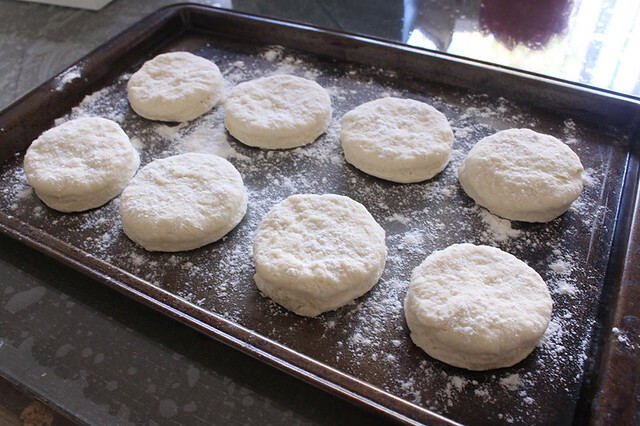 Cut with a 6cm pastry cutter, being careful not to twist the cutter, and place each scone barely touching one another onto a baking tray lined with baking paper. 5. Place in the oven for 10-12 minutes until risen and just browned on top. 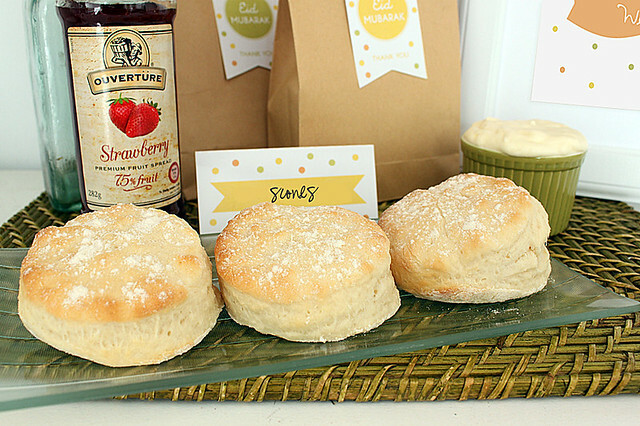 Serve warm with whipped cream and strawberry jam!